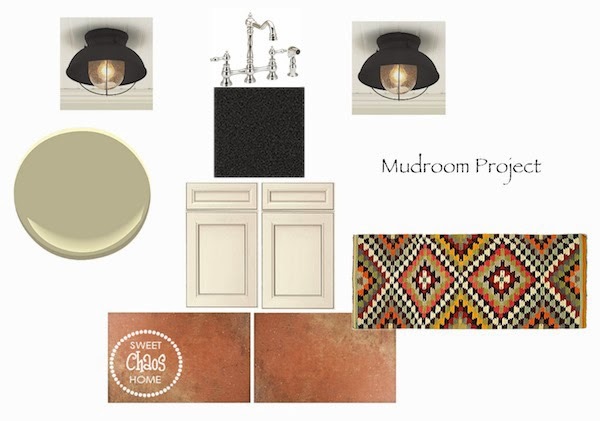 I'm so excited to be working on a mudroom design for our good friends. 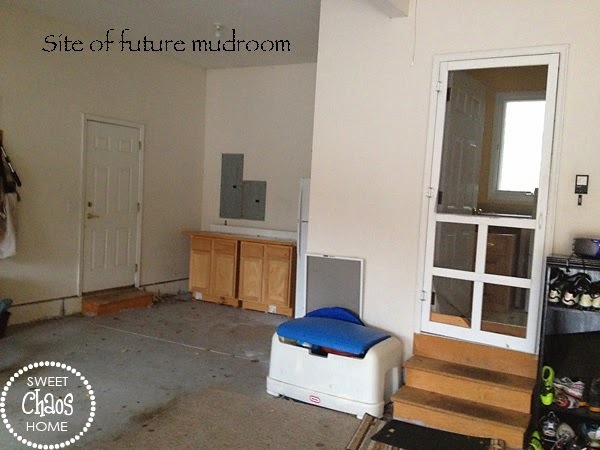 They live a few doors down from us, and have decided to add a mudroom to meet the needs of their busy family of five. We decided to use space from the garage, knock down a wall in the current laundry room, and connect the two spaces into a combined mudroom/laundry room. This layout was the most practical, as they were only using the cabinets to store paint, and the refrigerator can easily be moved to another part of the garage. They'll have access to the garage and to the backyard from the new mudroom. 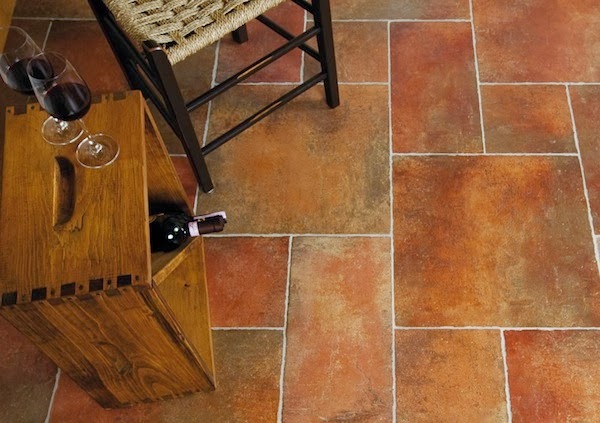 We decided on Restauri Porpora ceramic tile for the floor. We will use just the 6 x 20 tiles in a brickwork pattern. Most of her house is decorated in reds and golds, so she obviously is drawn to a warm color palette. I think the tile will blend nicely with the hardwood floors that lead to the mudroom, and it will also hide dirt … which is pretty key in a mudroom! I'll keep you posted as the project progresses. almost not quite as excited for this as I am your drapes! it is going to be an amazing space. Pretty and inviting. 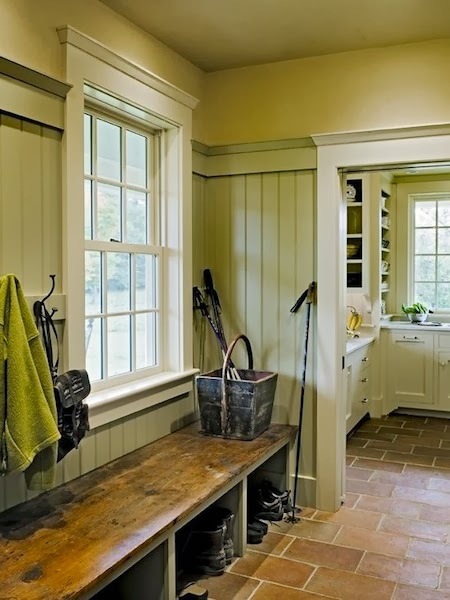 Carolyn I am loving your plan for this mudroom. The tile will be awesome and I love the colors. Do you have the source for the last picture? Danielle… thanks for your question! The last pic is via http://www.smithandvansant.com.